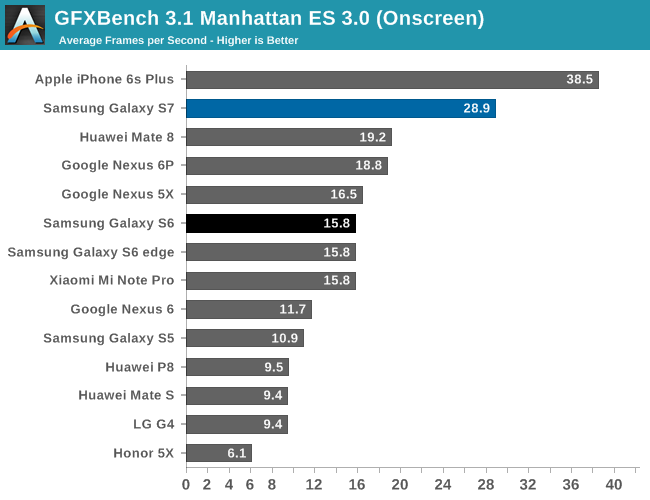 On the GPU side of things, Qualcomm's Snapdragon 820 is equipped with the Adreno 530 clocked at 624 MHz. In order to see how it performs, we ran it through our standard 2015 suite. 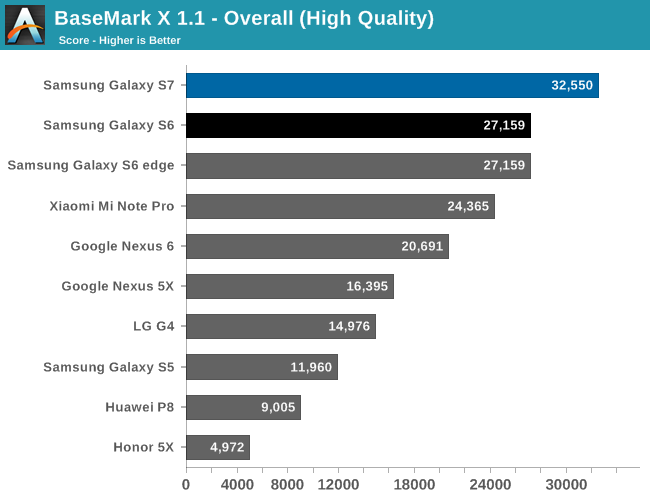 In the future, we should be able to discuss how the Galaxy S7 performs in the context of our new benchmark suite as we test more devices on our new suite to determine relative performance. 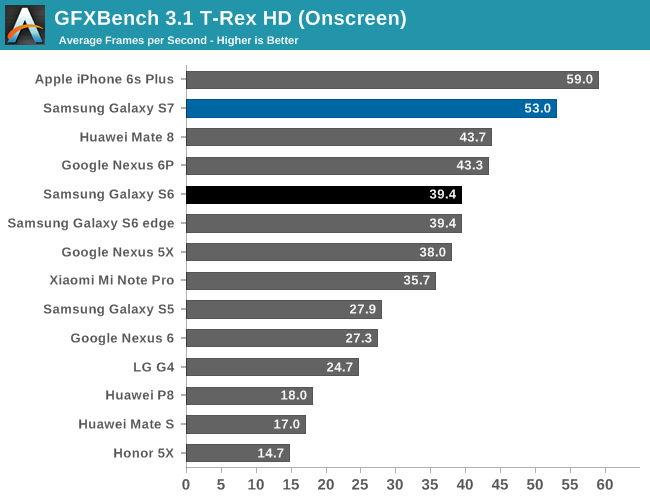 At a high level, GPU performance appears to be mostly unchanged when comparing the Galaxy S7 to the Snapdragon 820 MDP. 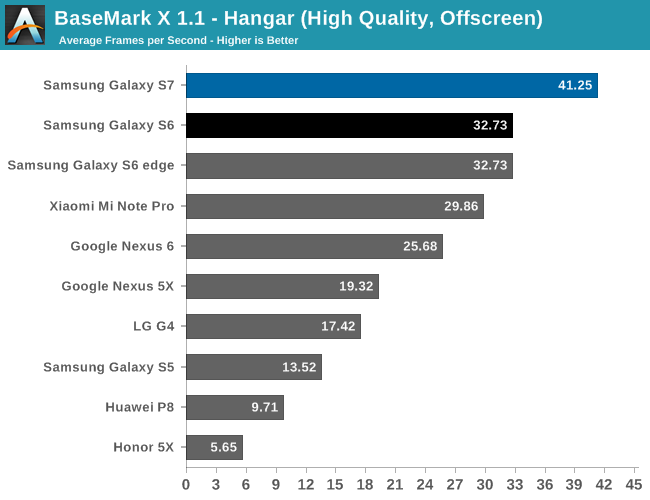 Performance in general is quite favorable assuming that the render resolution doesn't exceed 2560x1440. 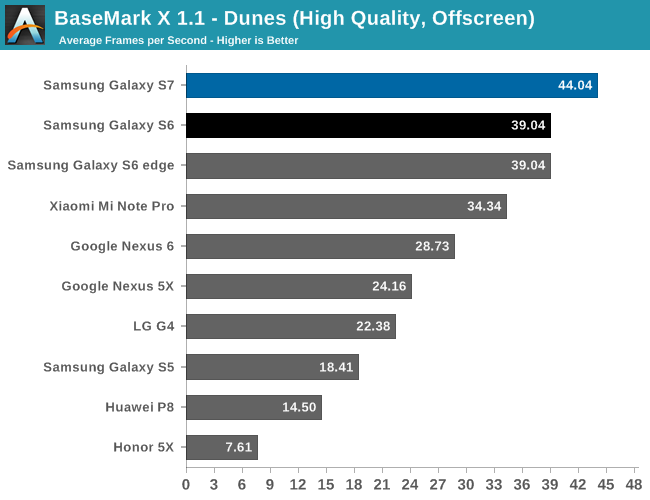 Overall, the Adreno 530 is clearly one of the best GPUs you can get in a mobile device today. The Kirin 950's GPU really falls short in comparison. 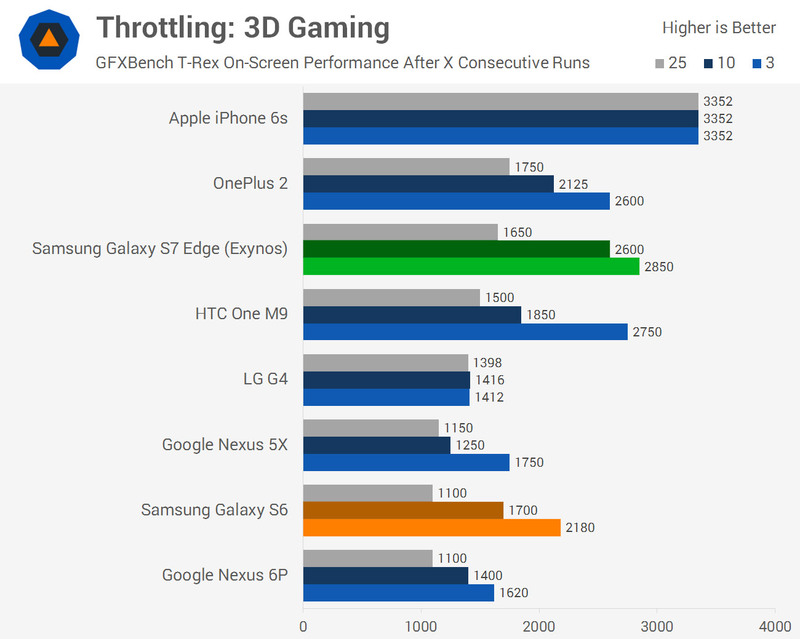 One could argue that turbo frequencies in a GPU don't make a lot of sense, but given that mobile gaming workloads can be quite bursty in nature and that gaming sessions tend to be quite short I would argue that having a GPU that can achieve significant levels of overdrive performance makes a lot of sense. 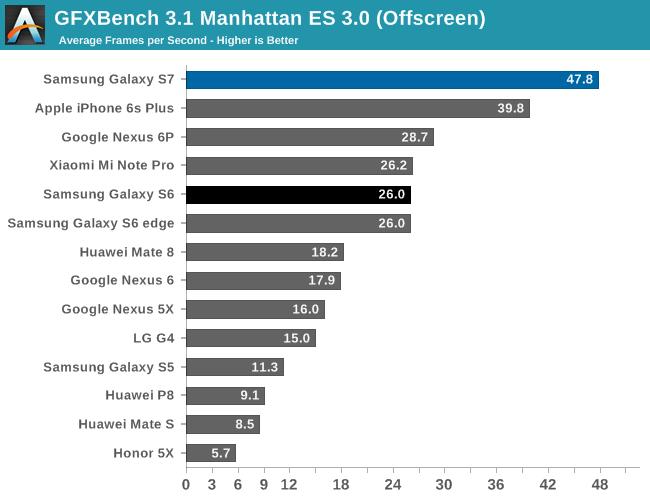 The A9 is comparable if you consider the resolution of iOS devices, but when looking at the off-screen results the Adreno 530 pulls away. 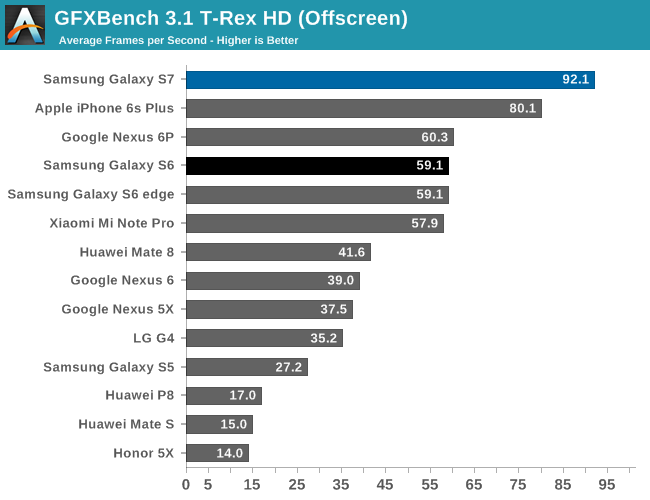 Of course, the real question now is how the Adreno 530 compares to the Exynos 8890's GPU in the international Galaxy S7, but that's a question that will have to be left for another day.